Passed away on Saturday, April 7, 2018 at the age of 97 years. Mrs. Dorothy Marie McGee was taken to Stephens Monument, 812 Pecan Avenue, Philadelphia, Mississippi 39350. Interment at Donald Rest Cemetery. 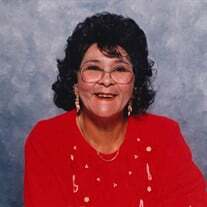 The family of Mrs. Dorothy Marie McGee created this Life Tributes page to make it easy to share your memories.